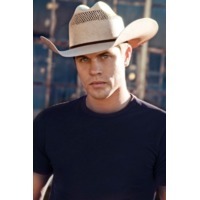 Dustin Lynch is an American country music singer and songwriter. Lynch moved to Nashville in 2003 to pursue a career in country music and to complete a university degree. He is signed to Broken Bow Records in late 2011, and he released his debut single "Cowboys and Angels" in January 2012. Lynch wrote the song with Josh Leo and Tim Nichols. That same month, Country Weekly began streaming his songs on their website.